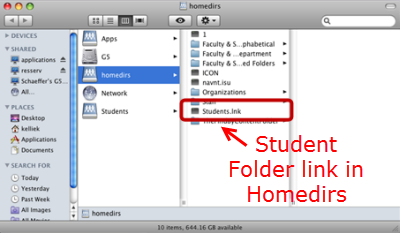 When you go to cifs://applications/Homedirs, you can see a link to the Students folder. When you click on it, however, you receive an error: "There is no default application specified to open the document 'Students.lnk'." You must connect to resserv to access the Student folders. Step 1:Open Finder. Click Go, then Connect to Server. 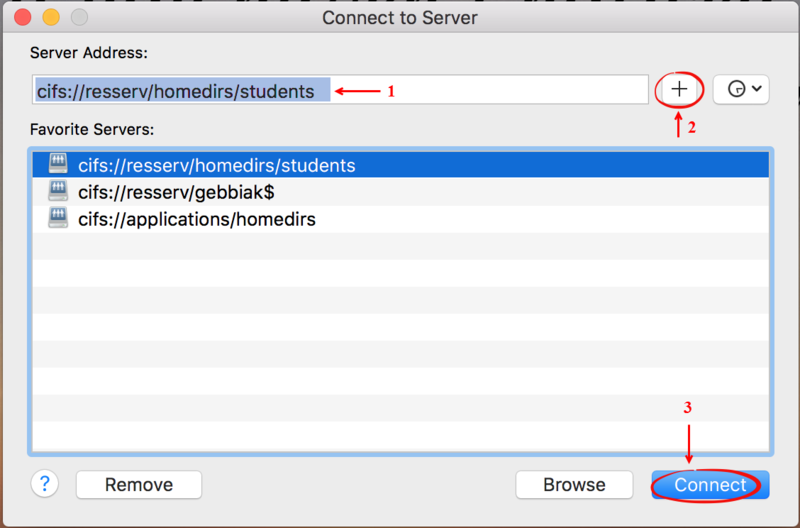 Step 2:Type "cifs://resserv/Homedirs/Students" in the server address text box. Click the + icon, then click Connect. Step 3:Enter your username and password. You will be able to access the Student folders. 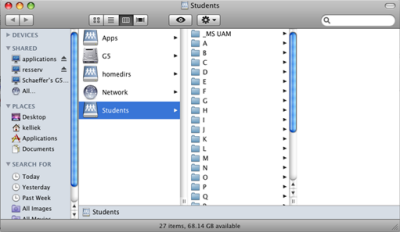 Step 4:The next time you want to access the Student folders, select the server from the list in Step 2.